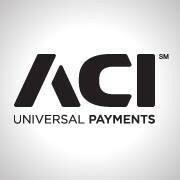 Dutch bank Rabobank will be using ACI Worldwide’s technology ACI Issuer to upgrade the management of its card portfolio business. The solution will allow Rabobank to reduce time to market when it comes to new payment products, including all card types and new tokenised payment products. The bank says there are “fewer revenue streams for card issuers due to a fast-changing payments landscape and the capping of interchange fees”. “We selected ACI Issuer as it will allow us to make efficiency savings and introduce new products at the same time, ultimately increasing customer loyalty and revenues,” says Erik Kwakkel, executive vice-president, payment services, Rabobank. Rabobank, a cooperative bank and longstanding ACI customer, hopes the new ACI upgrade helps the bank save some money with new revenue streams. Rabobank already utilises numerous ACI products and solutions, including UP BASE24-eps as well as UP Immediate Payments, which helps the bank adapt to instant payments and Open Banking in Europe.